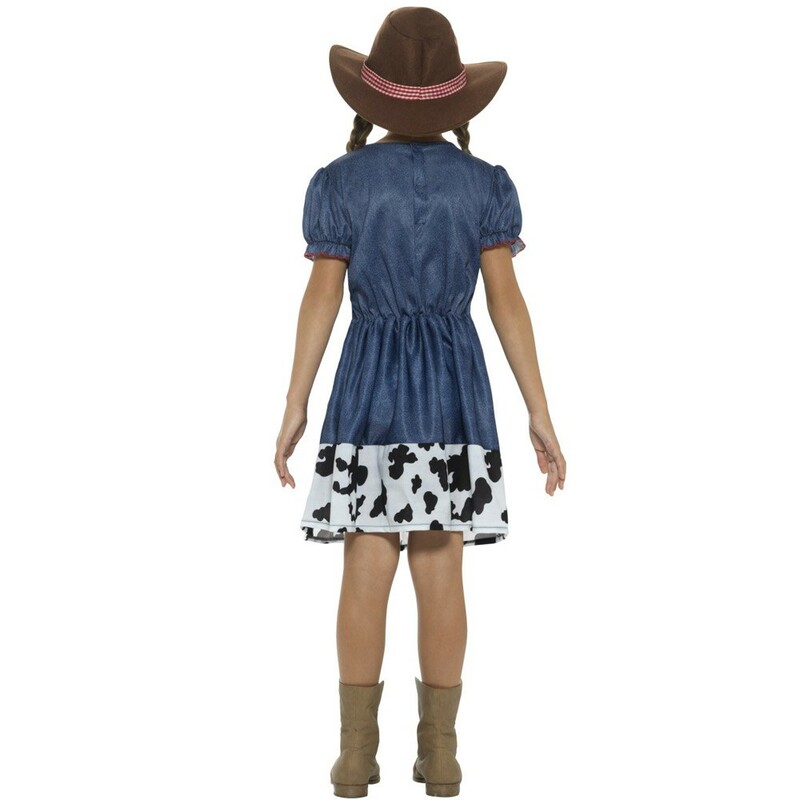 This lovely childs cowgirl outfit dress with its blue denim effect colour and red & white gingham detailing, finished off perfectly with a cowgirl hat is perfect for those dress up days. 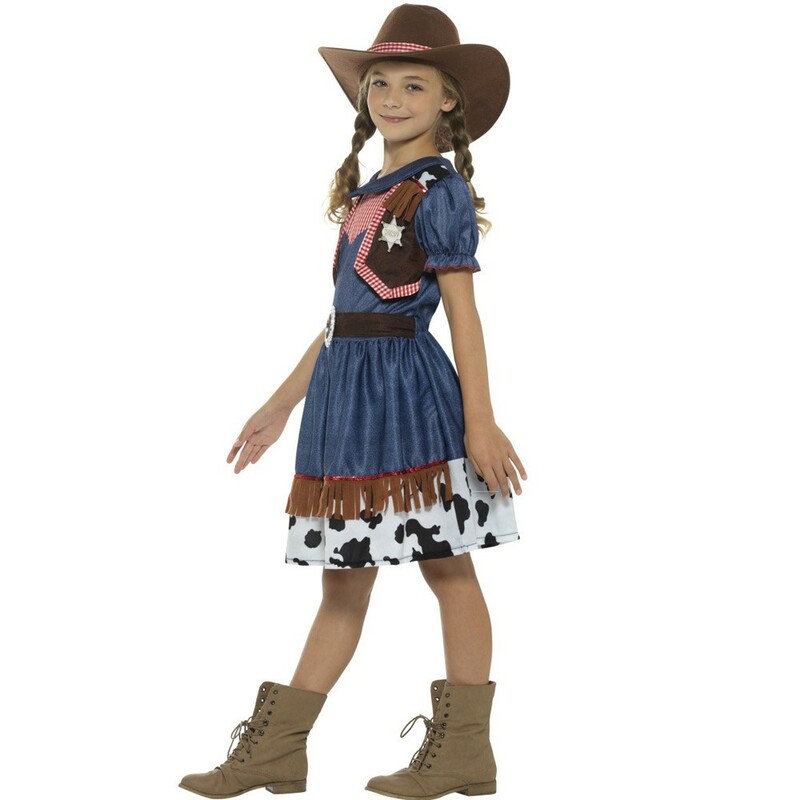 This brilliant Childs Cowgirl Outfit will be an amazing addition to any child’s fancy dress wardrobe. 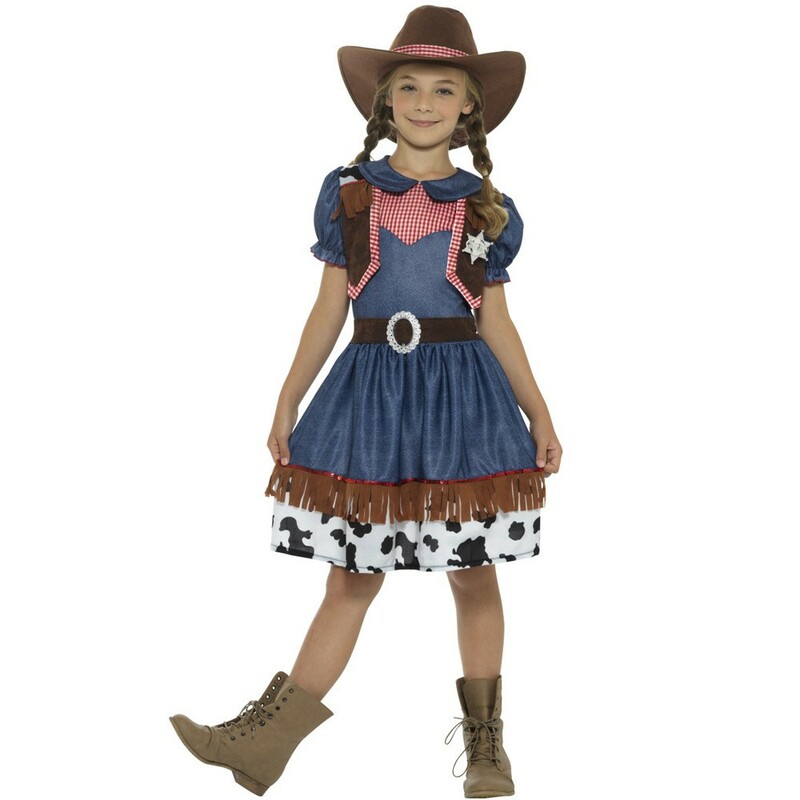 This Childs Cowgirls Outfit includes a denim effect dress with red and white gingham detailing near the neckline with an imitation waistcoat attached to the front. Near the bottom of the dress there is brown fringing with a “cow” pattern design on the hem. This Childs Cowgirl outfit is beautifully finished off with a lovely brown cowgirl hat that has a red & white gingham band that matches the dress.